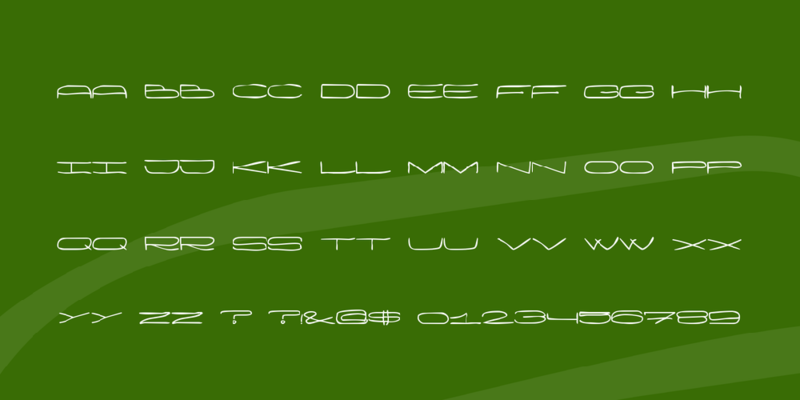 Description: This font is shareware, so if you decide to use it - buy it. If you make any designs, using this font, please email them to me: [email protected] ...perhaps I will show them on my site. Characters so wide you need two hands... (English, Scandinavian and German characters included). To register (2$), open the readme in the zip file.